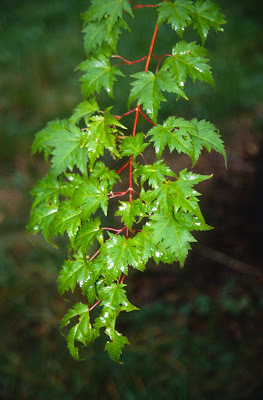 Of course, most species of Acer are plants with green foliage. 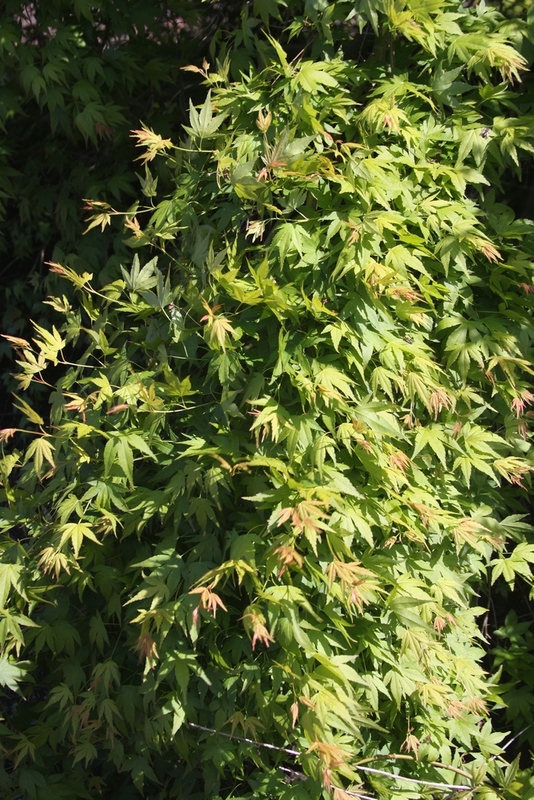 Last week's web log featured green Japanese maples, with the circinatums included for good measure, as most books on Japanese maples can't help but to also list the "Vine Maples" due to their botanical similarity to the maples of Japan. 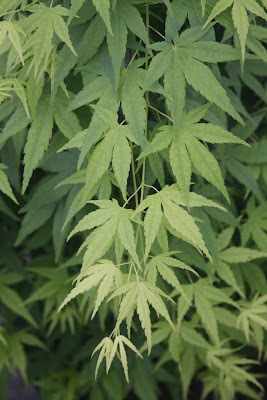 Today we'll discuss another Japanese maple, Acer buergerianum, as well as other species of maples with green foliage. 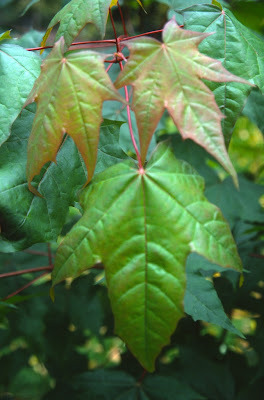 Acer buergerianum 'Mino yatsubusa' and 'Miyasama yatsubusa' have been grown in the nursery since the beginning, although it still gives me a moment's pause while I'm trying mentally to decide which is which. But alas, they are very different. 'Miyasama yatsubusa' (meaning "dwarf prince") is a sturdy dwarf upright with glossy green "trident" leaves and short internodes. Foliage in spring is fresh light-green, but it will darken by mid summer, eventually turning to yellow and orange-to-purple in fall. 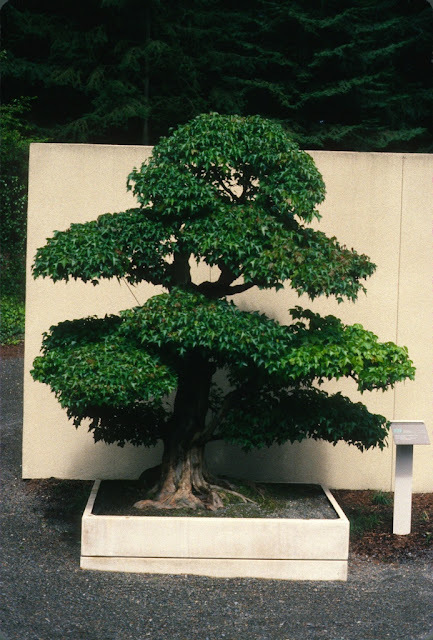 As you can see above, it is especially attractive as a bonsai creation. 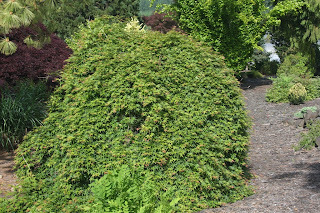 This specimen is located at the Pacific Rim bonsai exhibit in Washington state, and I think it is about seventy years old. I don't remember for sure because this photo was taken about ten years ago, and hopefully the tree is still alive. 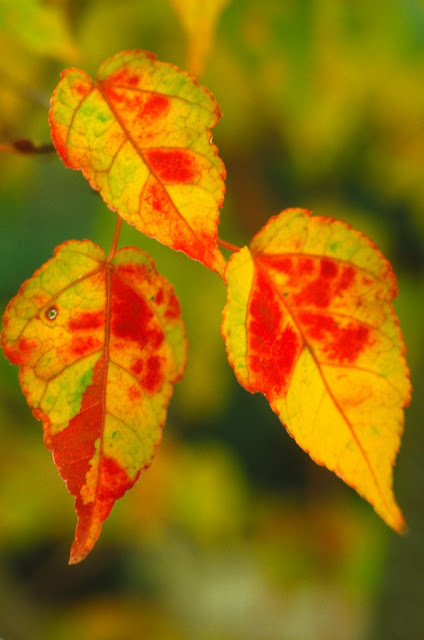 Can you imagine being the curator if the damn tree dies on your watch? 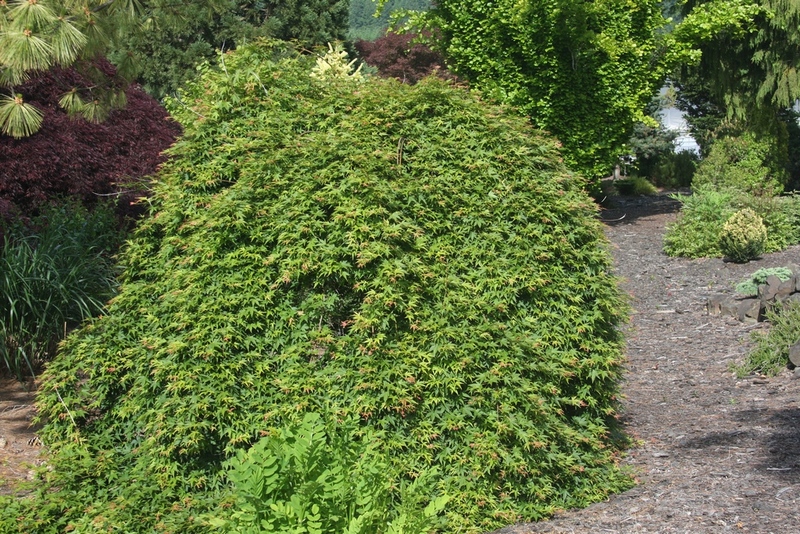 Acer buergerianum 'Mino yatsubusa' forms a dense round shrub, and will grow to 4' tall by 4' wide in ten years. 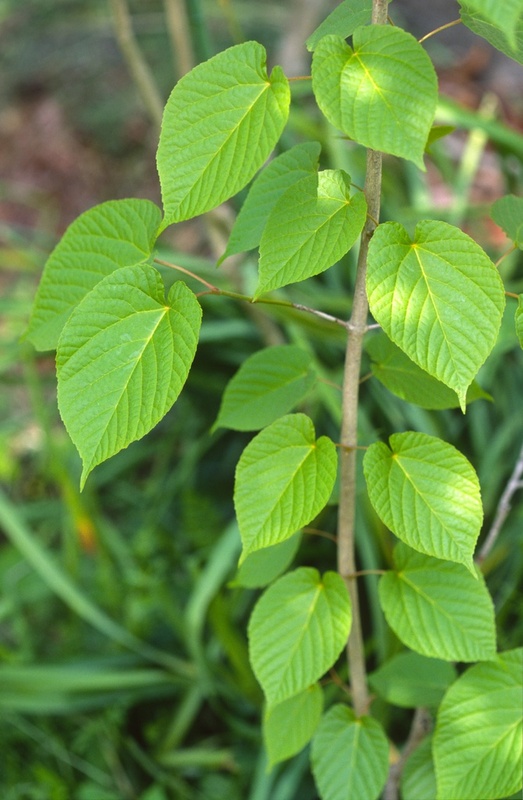 The leaves are trident-shaped, but the middle lobes are elongated, giving this cultivar a lacy appearance. 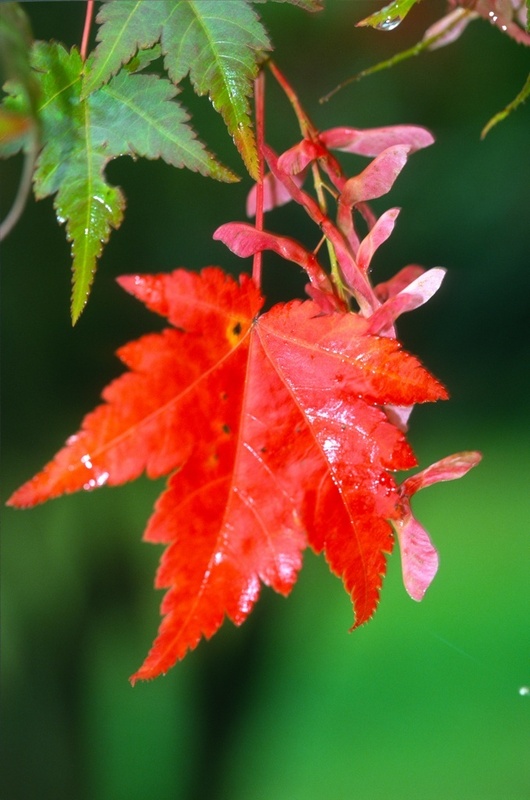 Fall color can be yellow, orange, red or purple, and at times all four colors can be present. Both 'Mino yatsubusa' and 'Miyasama yatsubusa' can be rooted in summer under mist, or grafted onto buergerianum seedlings; but since all methods are never highly successful, these two cultivars are always in demand. A final buergerianum is 'Angyo Weeping'. 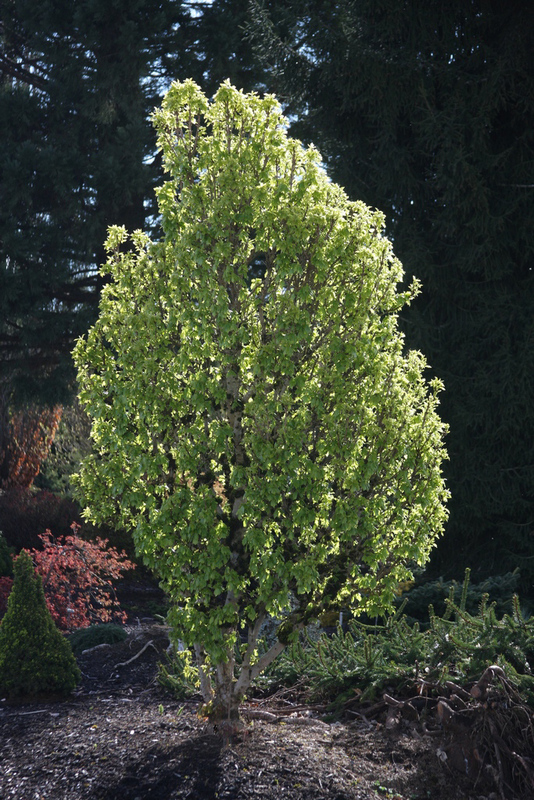 I first saw it in Japan, a nicely-sized specimen shown above, but I only have a small tree. 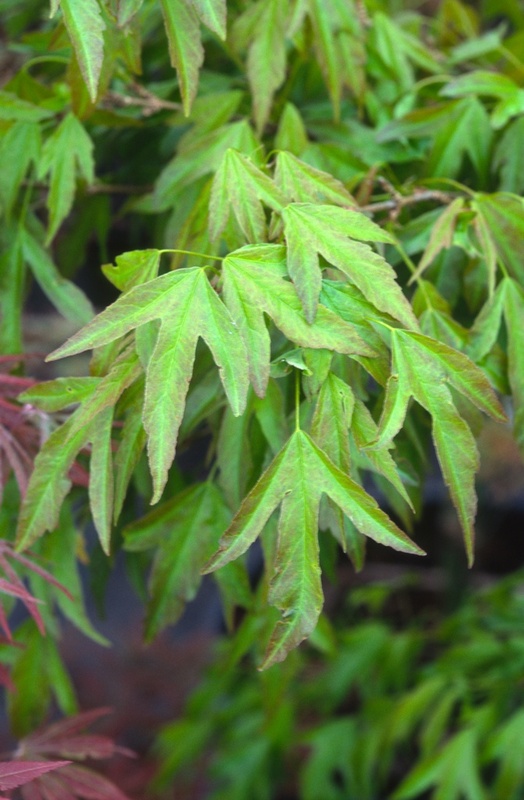 I wonder if viable seed ever appears, as perhaps a more narrow form could be selected, just as the narrow Acer palmatum 'Ryu sei' was selected from seedlings of the more broadly weeping 'Jiro shidare'. 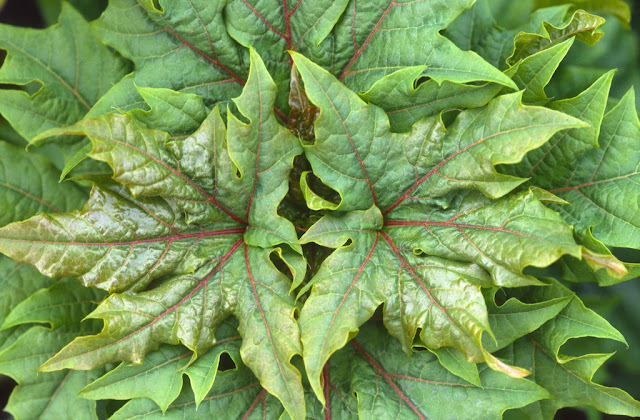 But again, propagating buergerianum cultivars is most difficult, at least for me. 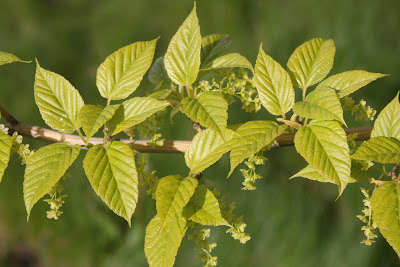 Acer carpinifolium, the "Hornbeam Maple," fools the casual gardener as to the fact that it is a maple, not a Carpinus, or "Hornbeam," because the leaf is simple and long, not at all like the amateur's concept that a maple should have a palmate-type leaf, or at least a leaf like Canada's flag (which is a "Sugar Maple"). But really, many species of maples don't look like "maples" until you notice that maple seeds are present. 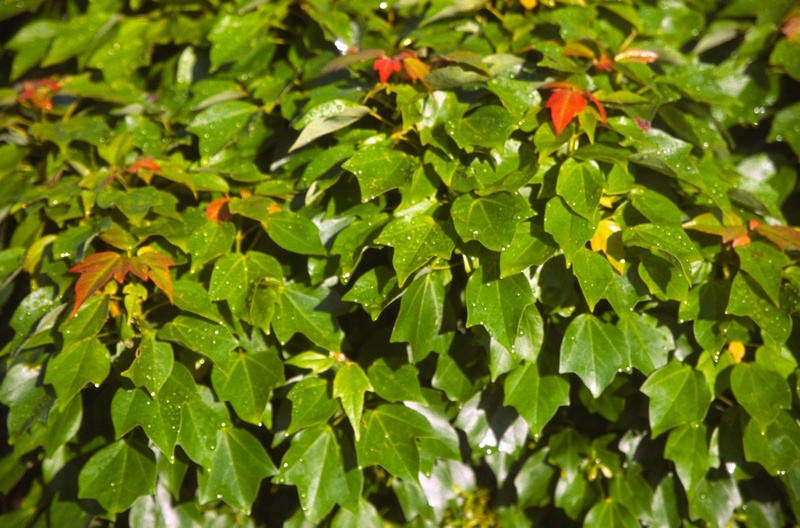 I like the carpinifolium species, especially for its light green spring foliage, but I don't enjoy the brown leaves persisting throughout winter, only falling in spring as new growth emerges. A nice selection (from Esveld Nursery in Holland) is 'Esveld Select' which is more dwarf and bushy. The species is native to Japan, but is rarely seen in American landscapes, probably because it ultimately grows large and wide. It was introduced into England in 1879 by Charles Maries who collected for the famous Veitch Nursery. 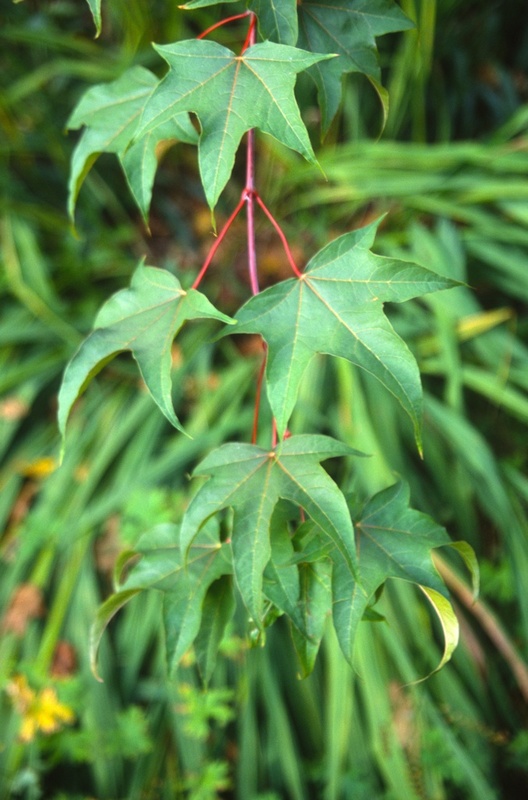 Acer campbellii is a Chinese species in the section Palmata, but rare in landscapes because it is only winter hardy to zone 7 or 8, and also because it can form a huge tree. A most curious dwarf cultivar, however, is 'Boney Fingers' with narrow light green lobes. The twigs are short and stubby, and the plant is a natural for bonsai. 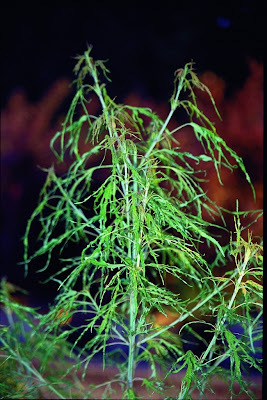 I do question if it is truly a campbellii species, though, because I do not know its full story. 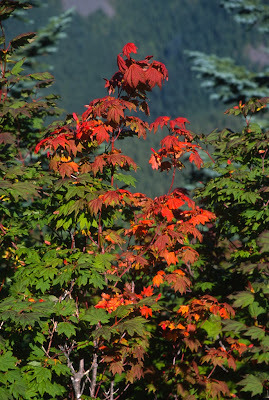 My start came from the late Bill Jenssen of Washington state, so I can't ask for more detail now. 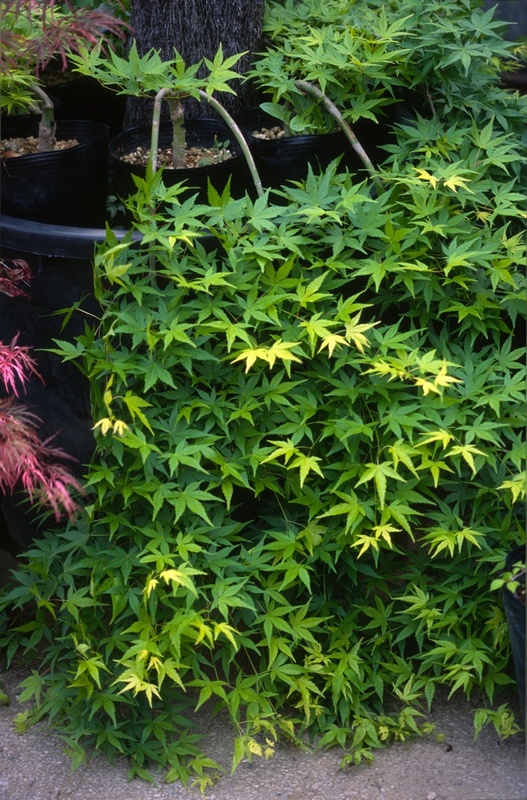 We propagate by grafting onto Acer palmatum rootstock, but it is so slow as to not be very profitable. Acer crataegifolium is another Japanese species introduced by Maries in 1879. 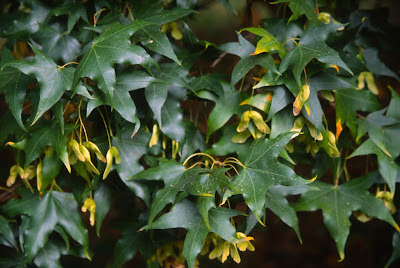 Its hawthorne-like foliage is only endeared by botanists, and its rather weak constitution means that you will only find it in exhaustive collections or arboreta. There are a few pretty variegated cultivars, however, that makes their inclusion in the garden worthwhile. 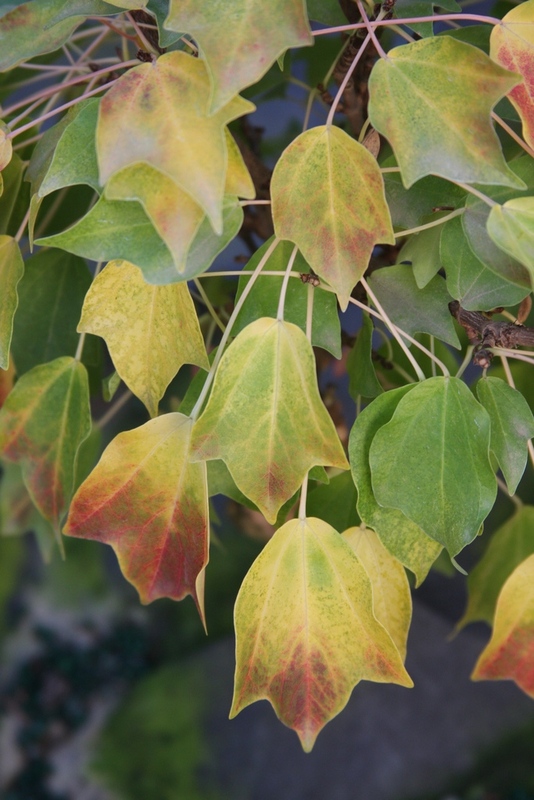 'Veitchii' features leaves with white and pink variegation in spring and summer, then fantastic yellow and red variegated leaves in fall. 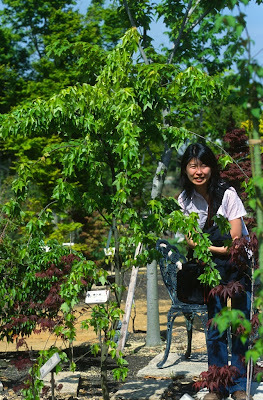 'Awa uri nishiki' and 'Eiga nishiki' are quite dainty and can be colorful if sited in partial shade. Acer micranthum, a small Japanese species in the section Micrantha, is, as the name implies, a tree with small flowers. 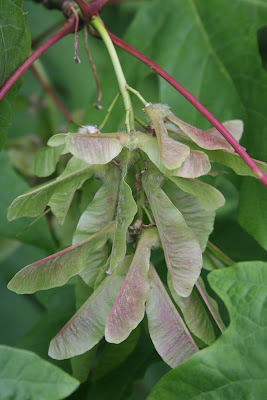 The seed occurs in small drooping clusters, and is beautifully pinkish-red in autumn. This species has a snake-bark trunk, though it is not highly colorful. 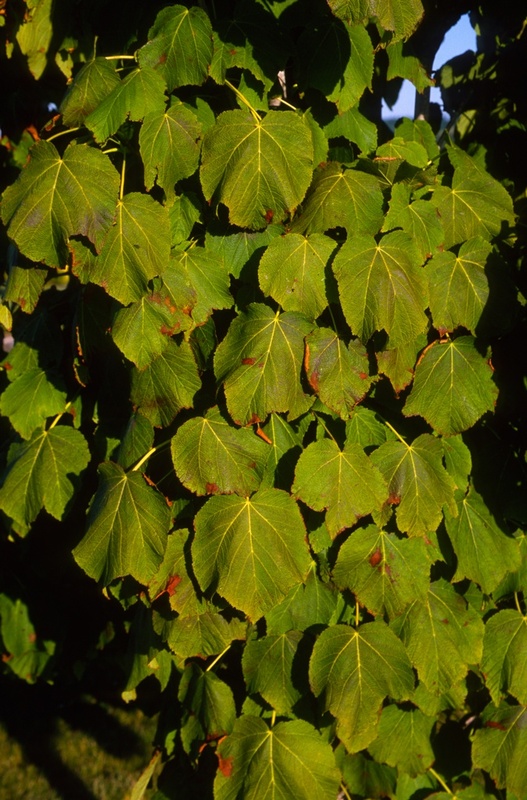 We propagate by rooted cuttings in summer, by seed, or by grafting onto other snake-bark rootstock. The leaves of micranthum are small and light green, changing to a wonderful red in fall. 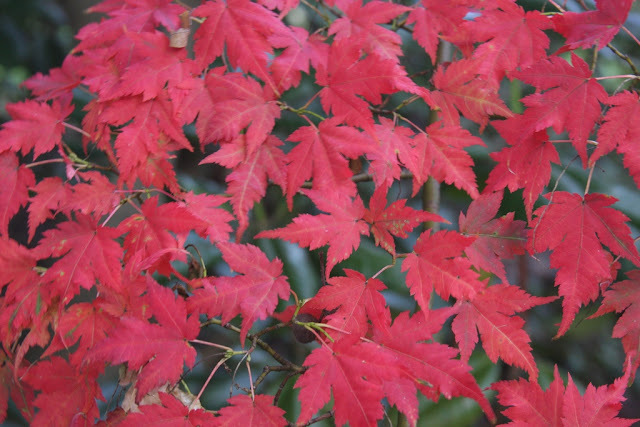 The reader should not be afraid or shy away from this rather obscure species, for it really is a small, dainty Japanese maple, and hardy to USDA zone 5. 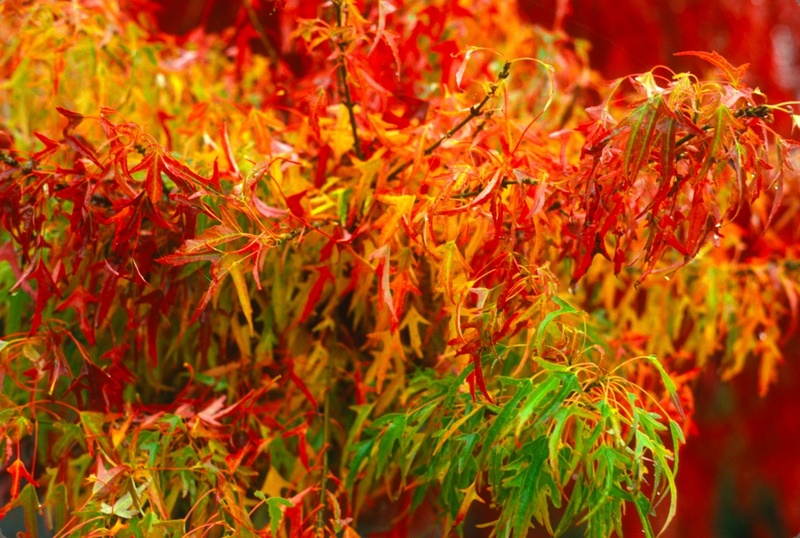 Acer palmatum is as well, but micranthum lacks none of the horticultural merits of the better-known palmatum species. 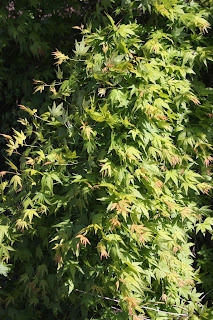 We grow a couple of Acer tegmentosum cultivars, 'Joe Witt' and 'White Tigress'. 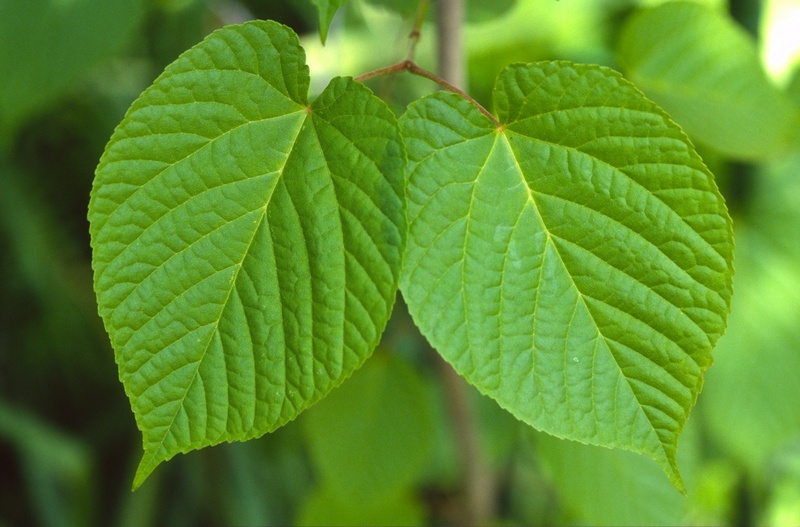 The species name refers to the claim that the leaves entirely cover the branches, from Latin tegmentosus, meaning covered or hidden. Well, that name was given long ago, but of course some branches are visible on all specimens always. 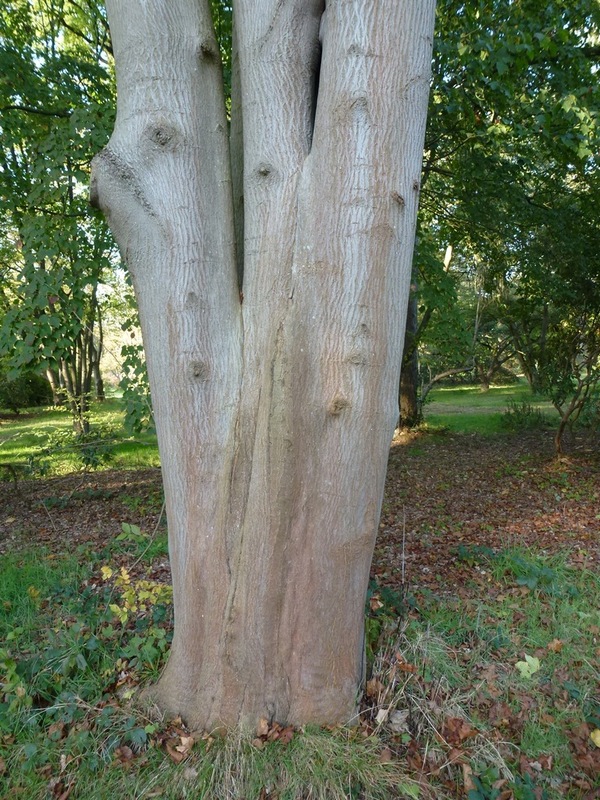 In any case, the trees should be limbed up and the lower canopy thinned so the beautiful white striated bark can be appreciated. 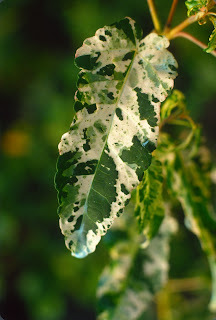 'White Tigress' was selected years ago in Ohio, not because it was so different from the type, but rather because the plantsman in question wanted to promote the species in general. 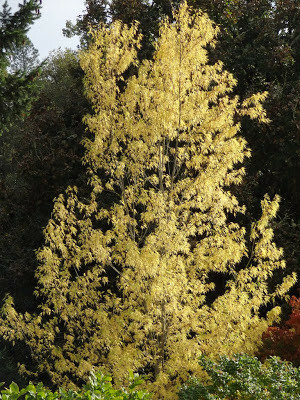 'Joe Witt' was selected by the late curator (Joe Witt) of the Washington Park Arboretum in Seattle. 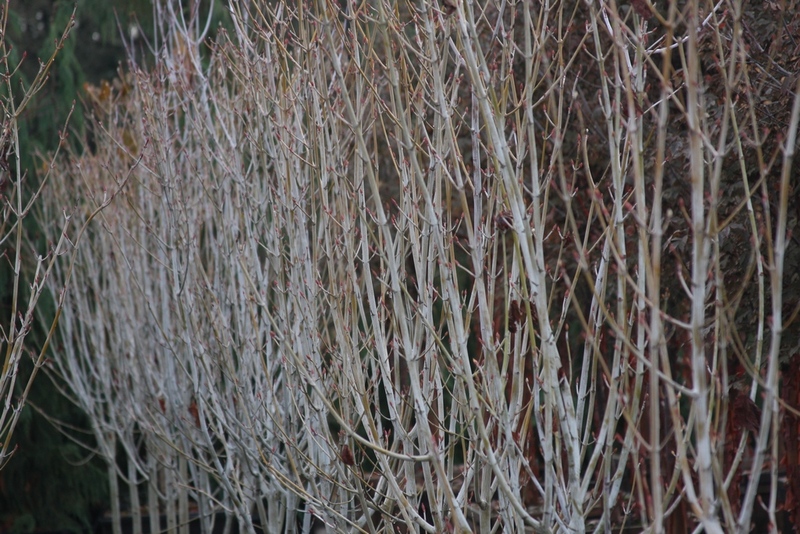 It is unusual because the bark is especially chalky-white, and a grove of them is stunning in winter. Sadly the original 'Joe Witt' is in decline and nearly dead in Seattle's Washington Park Arboretum. 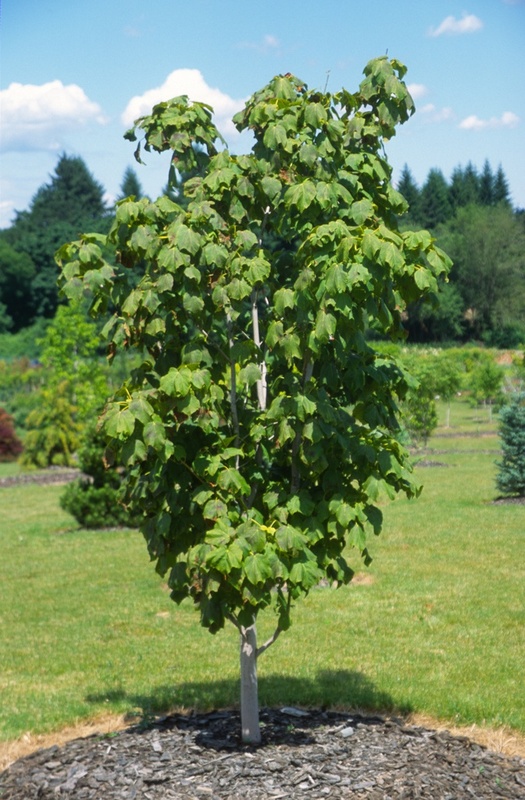 For those who care about the Joe Witt story, he also selected an Acer davidii to plant in his yard. 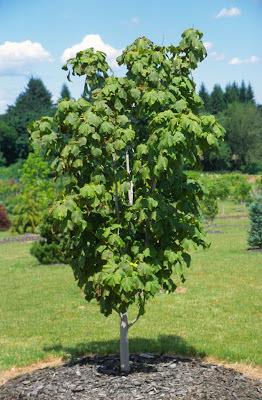 His daughter Martha worked for me in the past, and she cut scions from this "David's Maple" and named it 'Serendipity'. 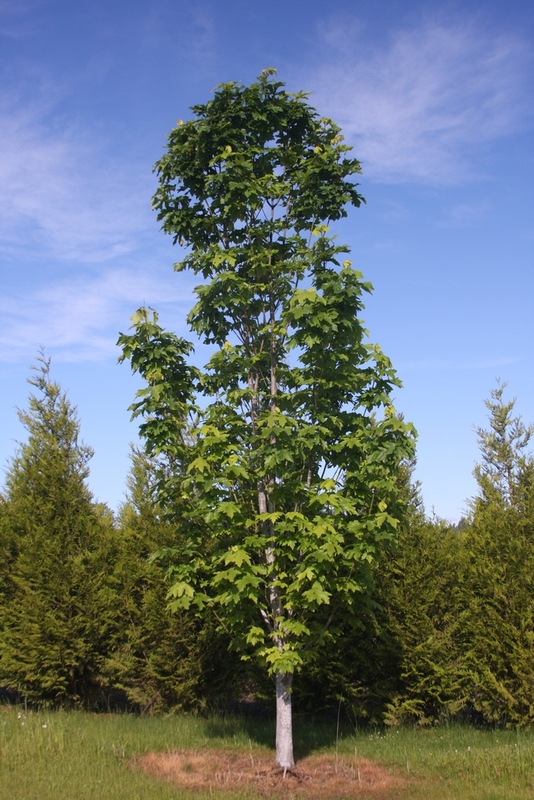 Obviously these stripe-bark maples require adequate room, and when given they can provide a spectacularly elegant presence in the landscape. Acer macrophyllum, the "Big Leaf Maple," is famous in western North America for its huge canopy and its one foot (or more) diameter leaves. 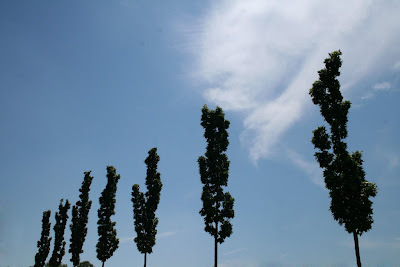 Where space allows it can be a wonderful broad shade tree. Yellow fall color is occurring now in Oregon and Washington, and on the occasions when the sun breaks through our dreary Northwest drizzle, the wet macrophyllums shine like brilliant jewels. The cultivar 'Seattle Sentinel' is more appropriate for smaller spaces, and I recently saw the world's largest specimen in Seattle. 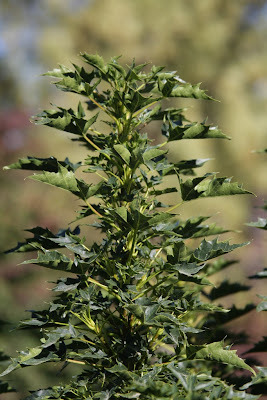 The most spectacular cultivar is probably 'Mocha Rose' which is more slow growing than the type. 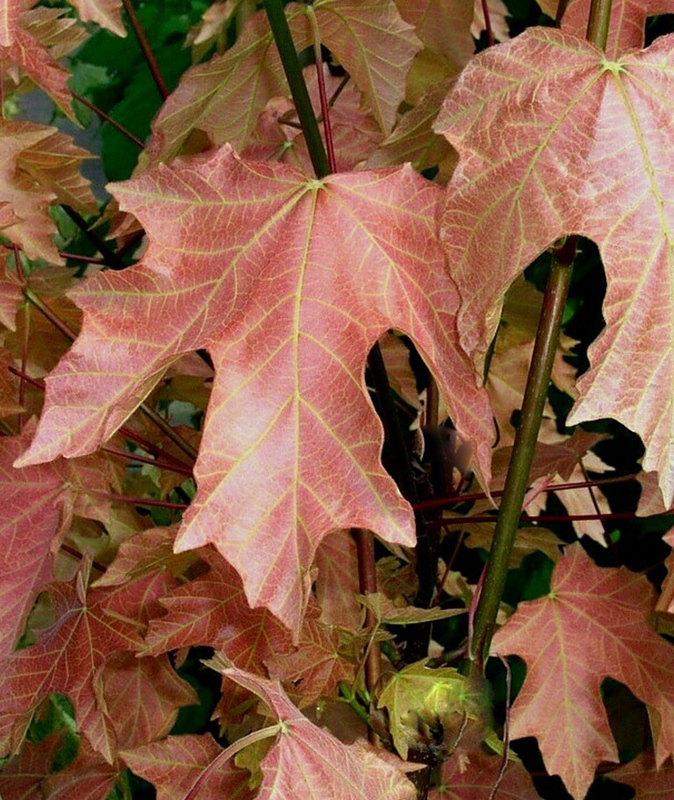 Spring foliage is shrimp pink, then eventually turns to a pleasing light brown in summer. 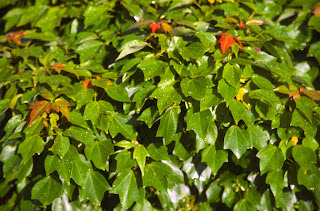 But back to green. 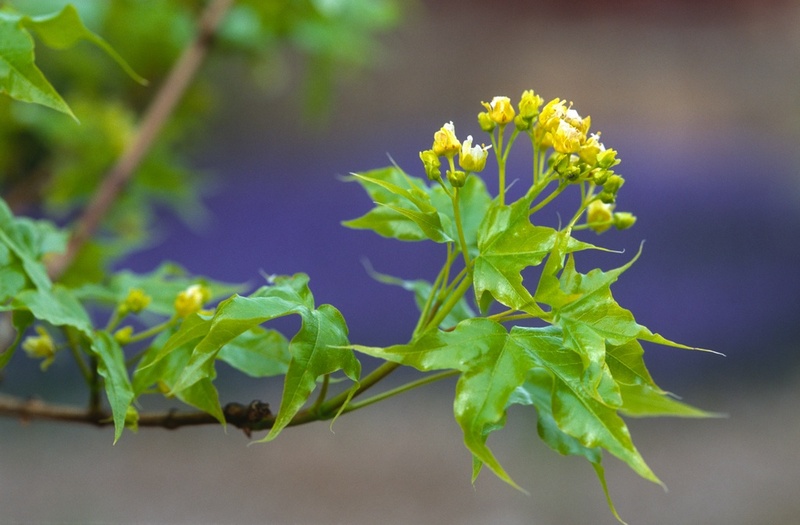 The "Norway Maple," Acer platanoides, is itself a large species, and is seldom planted in landscapes, although some hybrids can make excellent street or park trees. 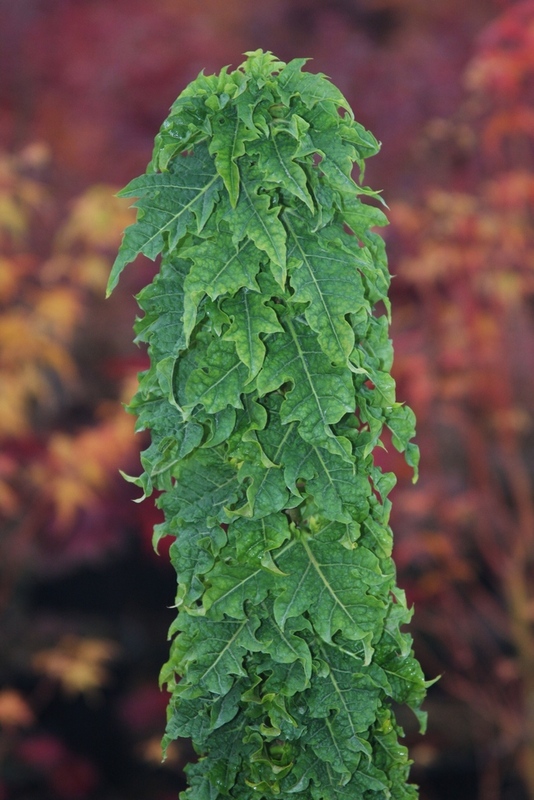 Two dwarf narrow selections, however, can be recommended for any garden, even though their leaves are freaky looking. 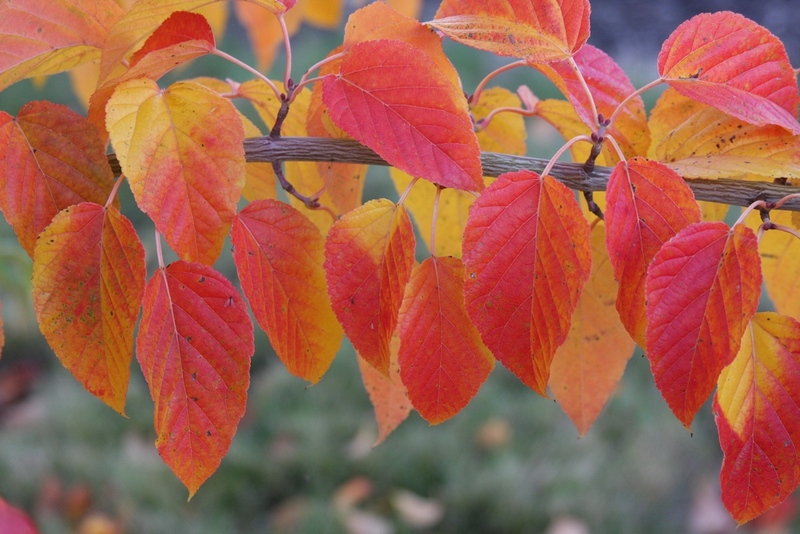 'Novusch' has been spelled in various ways, so I might not be accurate, but none of the spellings are good as a cultivar name, and shame on Mr. Novusch or whomever. 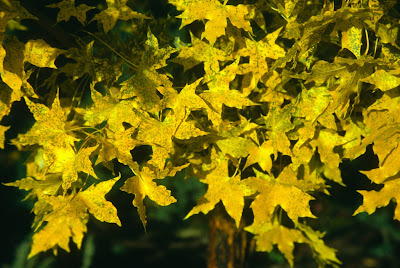 The tree has small green leaves, crinkled somewhat, and has a strong yellow fall color. 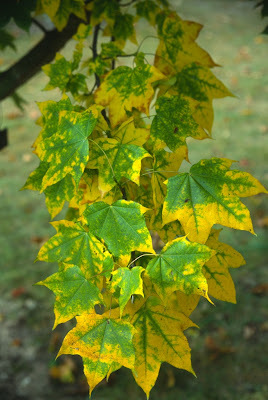 Acer platanoides 'Rezek' has green leaves larger than 'Novusch', but they are also crinkled and turn yellow in autumn. Both are difficult for us to propagate, but they sell instantly when we do have a few. 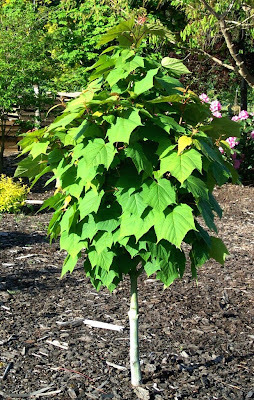 'Rezek' was a spontaneous seedling in the late Ed Rezek's garden--and he found a number of them--so technically it is not identical to 'Curly Lamppost' or any other that has been named. For the record, the now defunct Carlton Nursery of Oregon found a couple of seedlings similar to 'Rezek', and we have one or two in our garden. 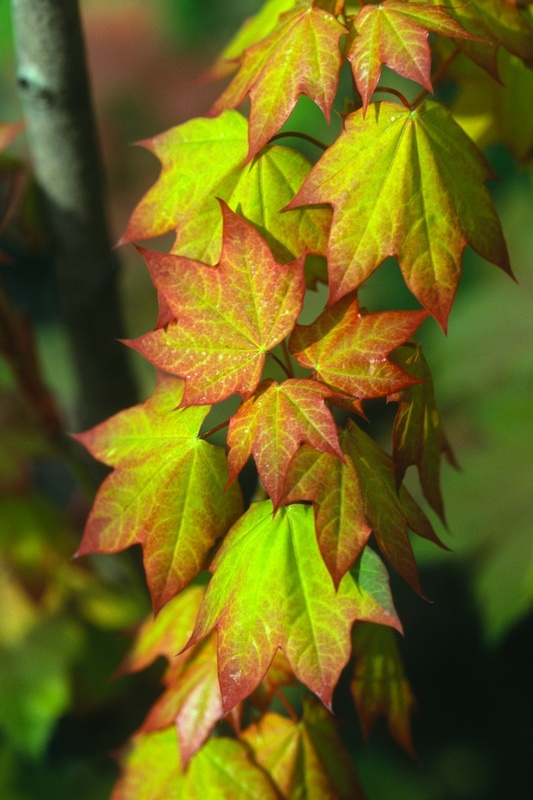 Acer truncatum, or "Shantung Maple," is a broad medium-size tree from northern China, Korea and Japan, and is hardy to USDA zone 5. The green lobes taper into sharp points, and it is the base of the leaf that is truncated (cut short), hence the species name. 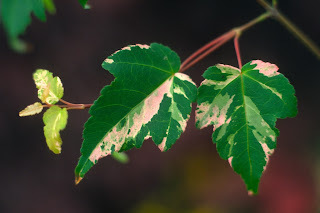 It performs better than most maples in areas of extreme heat, and a few new cultivars are coming out of Texas (google Metro Maples), but I don't grow any. 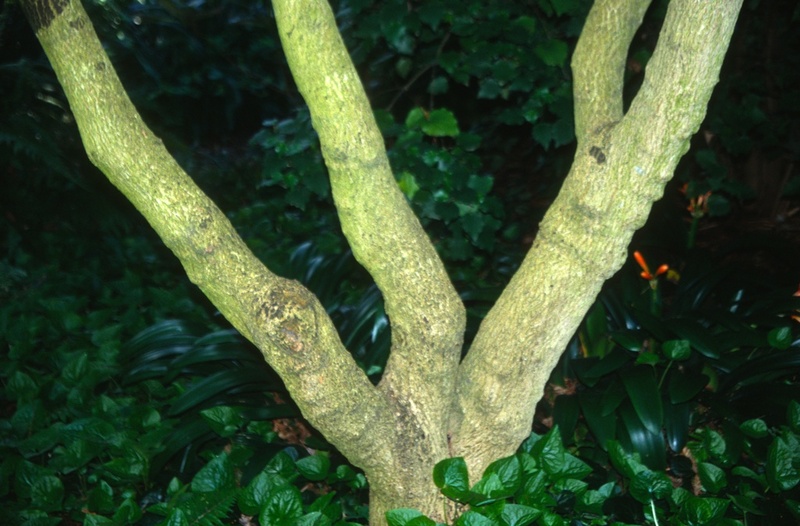 A truncatum is attractive in winter with its gray fissured trunk. 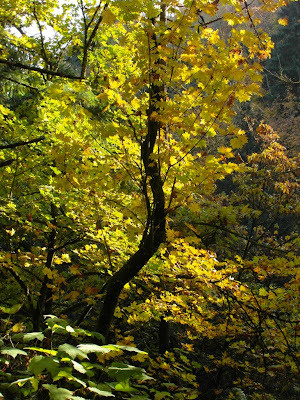 The world could probably use a narrow or a dwarf form. Acer glabrum ssp. 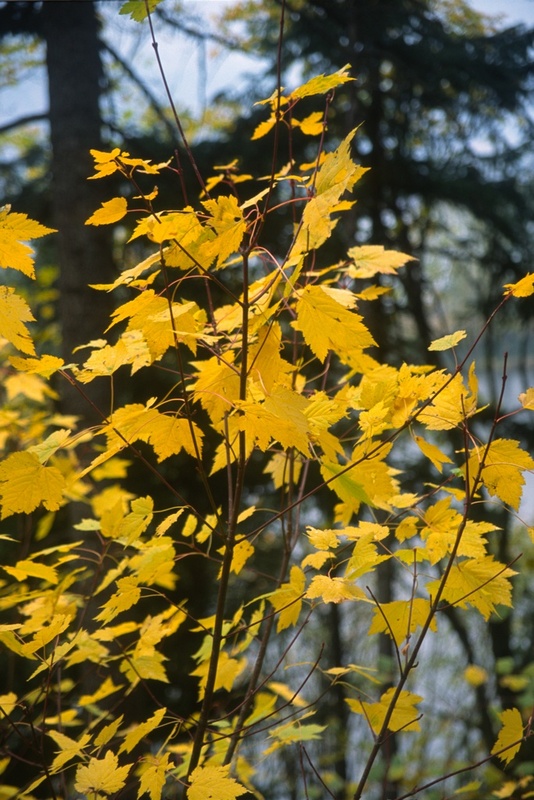 douglasii is the third species of maple native to Oregon, after circinatum and macrophyllum. 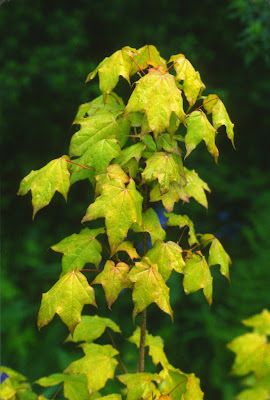 I rank the "Douglas Maple" third because it is the least known, and I'm unaware of any cultivars. 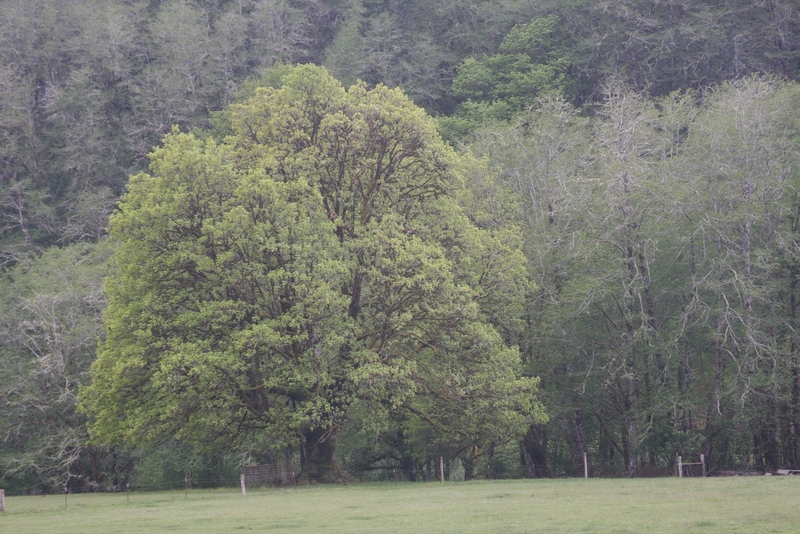 I doubt that 90% of Oregonians have seen, or know that they have seen one. Yet there exists a trail in the Columbia River Gorge, near the second most visited tourist attraction in Oregon, Multnomah Falls (the first tourist attraction is a damn casino), where all three species literally touch each other. 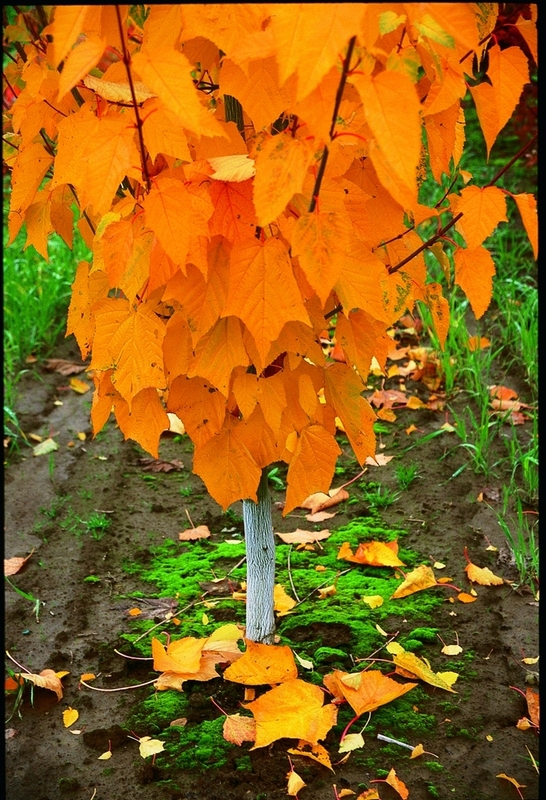 As with circinatum, the fall color can be a brilliant yellow where soils are rich, or turn to red on rocky lean soils. I'll admit that glabrum is rather brushy and provides little ornamental value...until fall. 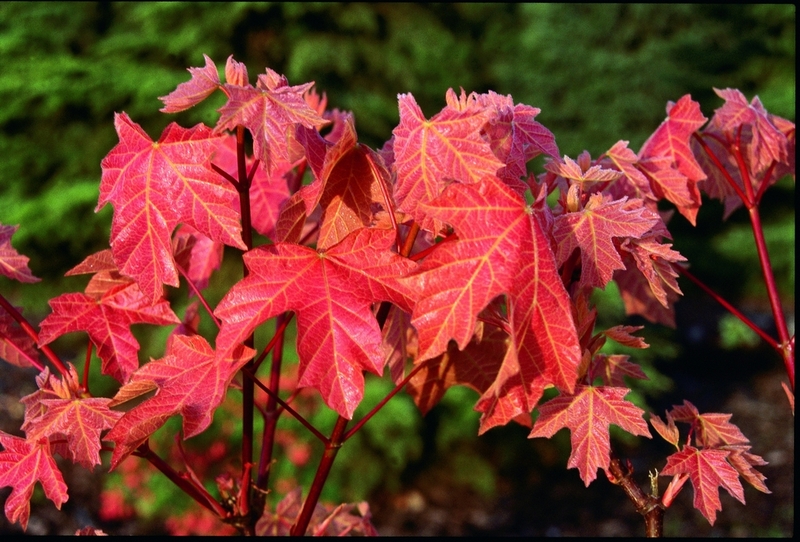 I always admire Acer cappadocicum, the "Caucasian Maple," when I see it in collections, but I don't even grow one. 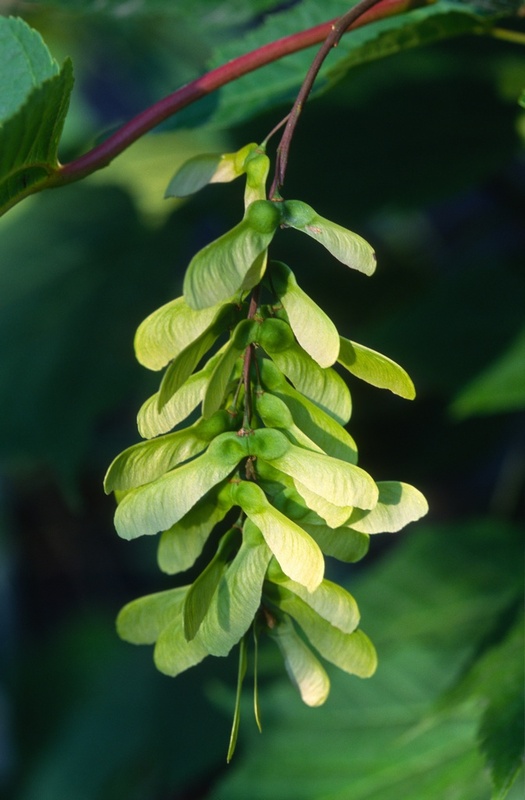 It forms a medium-to-large size tree with a broad canopy, and can vary according to its native range. 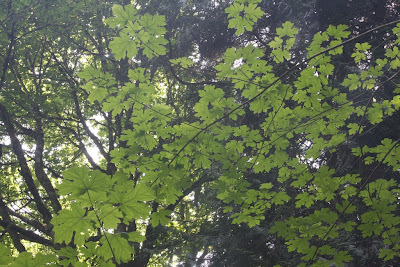 I saw a large specimen of ssp. lobelii in Belgium last year, and the trunk was impressive. 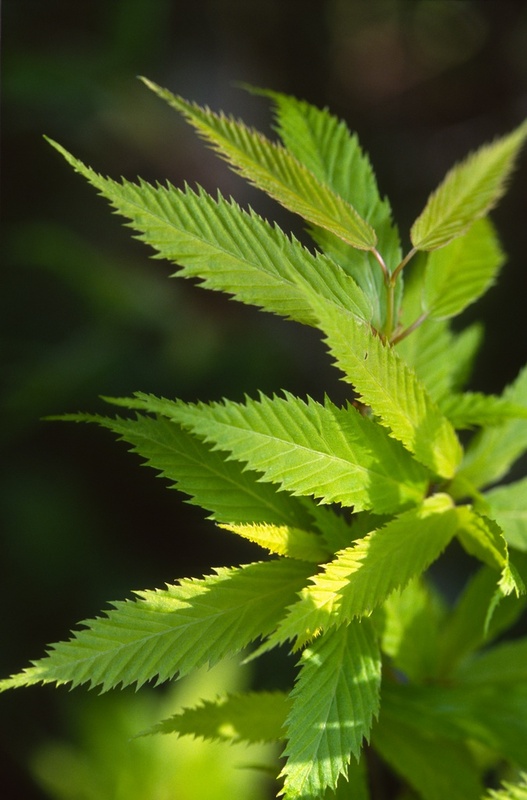 It comes from southern Italy and was named after a fifteenth century botanist named l.Obel. 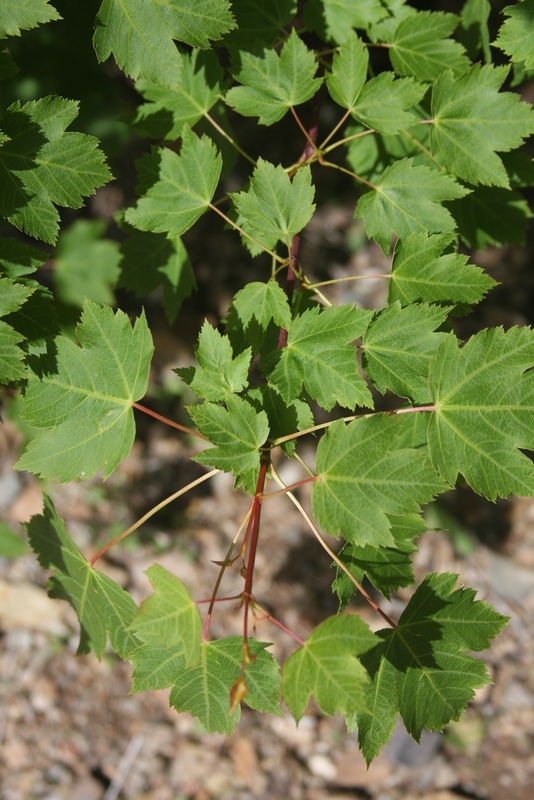 Acer cappadocicum ssp. 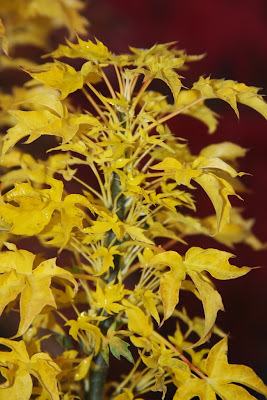 sinicum is of course from China. If I could find one I would like to grow it, for it is more compact than lobelii, with smaller leaves that begin a reddish color in spring, and turn to yellows and reds in autumn. My favorite cappadocicum is the cultivar 'Aureum', and I've seen the huge specimen in the pasture in Wales at Hergest Croft, and the equally large tree at Kew Gardens in London. 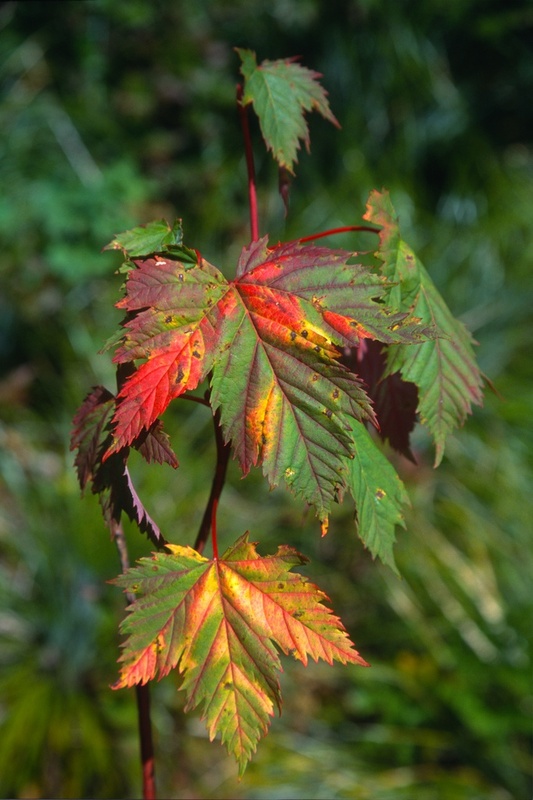 I've been present in early spring to see the reddish new growth unfurling, and the golden glow in late spring is memorable. The foliage greens somewhat in summer, then is a rather dirty yellow in fall. 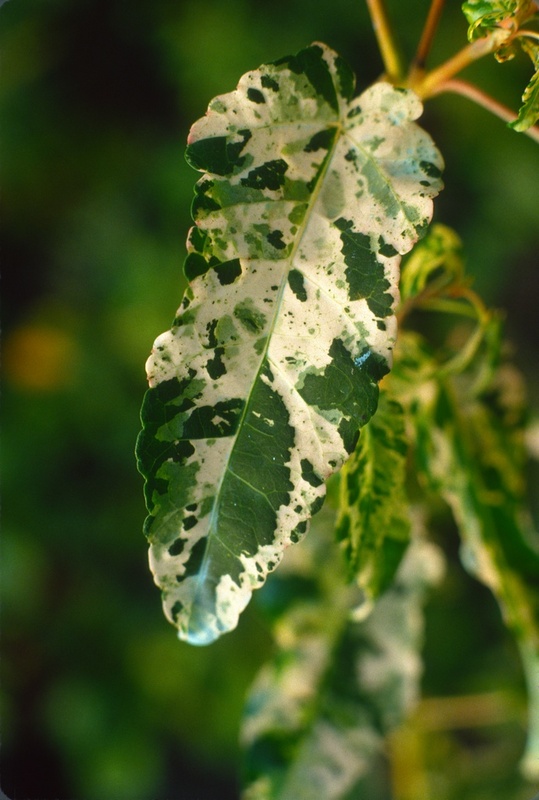 As with various species in the section Platanoidea the petioles contain a milky sap. 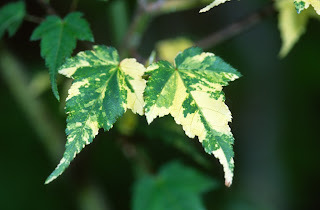 I love two obscure Japanese species, Acer nipponicum and Acer distylum, but they are very different in appearance. Acer nipponicum is extremely rare in landscapes, even though it is very handsome and hardy to USDA zone 5, because it can only be grown from seed. I have wasted time grafting onto various rootstocks and trying to root nipponicum; my results were 100%--failure that is. Acer distylum is also hardy to USDA zone 5, but prefers afternoon shade in most climates. Its leaves are a fresh light green, and most "unmaple-like," resembling a Tilia (linden) more than an Acer. 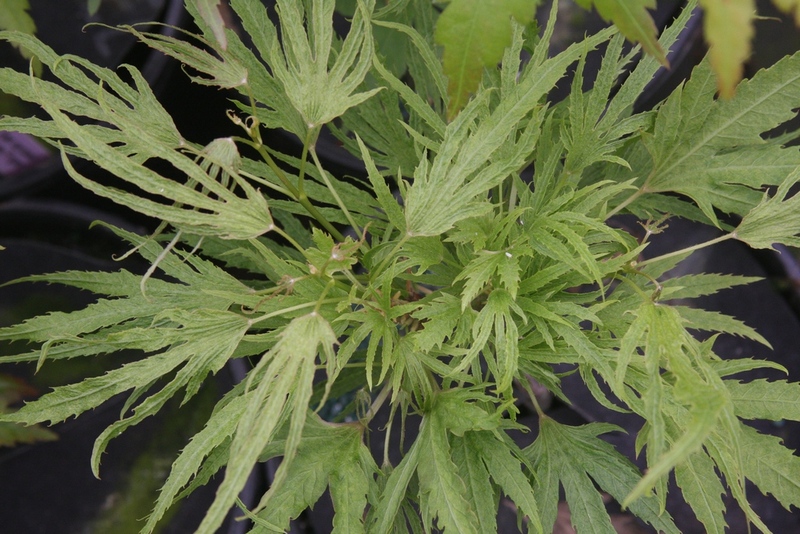 The species name is from Distylus, referring to having two styles on the female flower, the section connecting the stigma (the top part) from the ovary (the bottom part). Yeah, I had to look that one up. I could go on forever about maples with green foliage, but I'll conclude with a sugar and a silver. 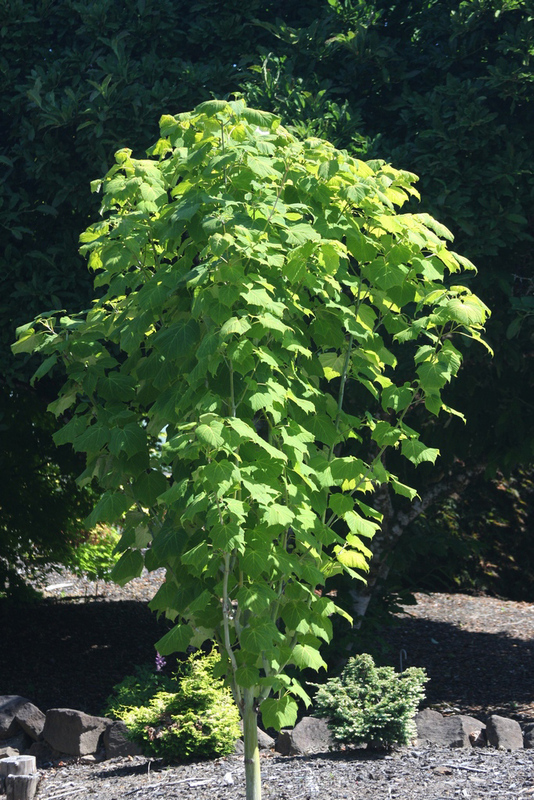 Acer saccharinum 'Born's Gracious', a selection of the "Silver Maple," can attain a large size quickly. 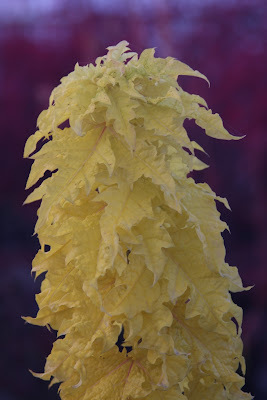 Leaves are deeply cut and lacy looking, then turn to a soft cream-yellow in fall. 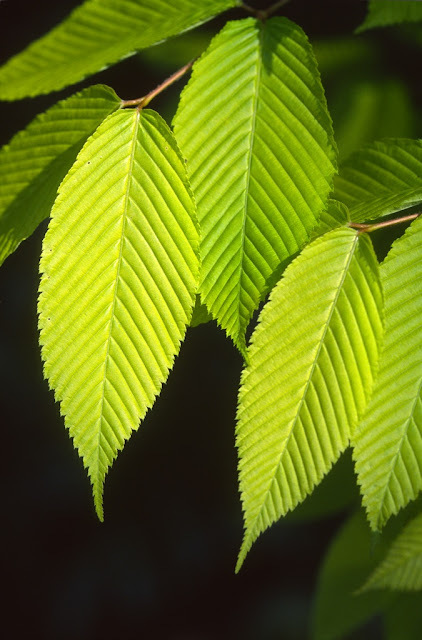 It was discovered in Germany in 1948, and in Europe is sometimes named 'Born's Graciosa'. Acer saccharum 'Monumentale', the columnar "Sugar Maple," is considered by some (Hiller, van Gelderen) to be synonymous with 'Temple's Upright', but I don't know. Hillier says it was introduced around 1885, and I read elsewhere that its origin was France. Its lustrous green leaves make a wonderful sight in spring and summer, but the true glory is to see the brilliant orange pillar in autumn. 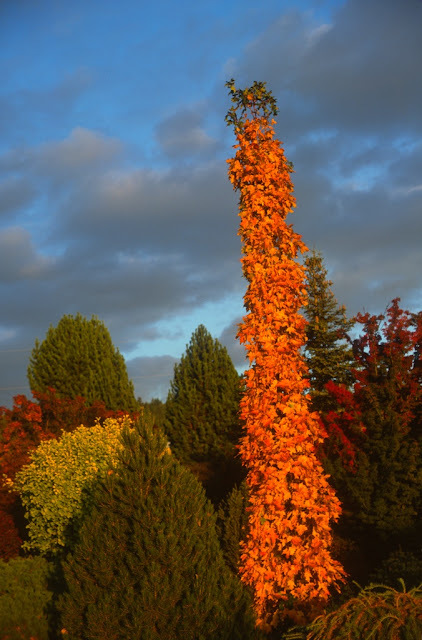 As I write, our pillars are just now turning from green to orange. Sadly 'Monumentale' is difficult to propagate, or else we would be selling hundreds per year. 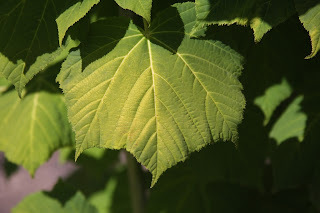 Other nurseries would probably concur about propagation, because you seldom see this hundred-plus-year-old cultivar in the market. 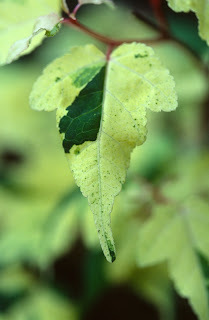 Ok, enough of green with its myriad shades. I'm itching to get to next week's web log, for I have just returned from Seattle and the Maple Society conference, and I can promise you a myriad of autumn colors from the interesting gardens we visited.